When is a pie not a pie? Seems that the British do not restrict the term pie to only pastry goods. Cooked meats covered with a thick topping of creamy mashed potatoes is also a pie if you are from the UK and Ireland. 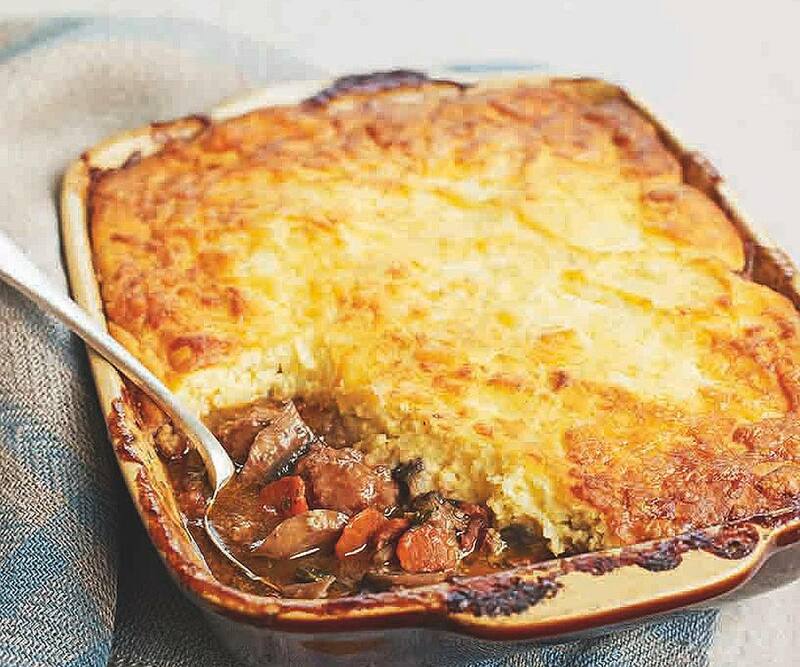 One such 'pie' is a Cumberland Pie, but just why is a Cumberland Pie any different, you may ask, given it looks almost the same as a Cottage Pie or Shepherd's Pie. All three are much the same thing but in the first two, the meats vary; in a shepherd's pie, the meat is lamb (there is a clue in the name) yet in a cottage pie it is beef. A Cumberland pie can be either meat. But a Cumberland Looks Like a Shepherds Pie? Each of these potato topped pies consists of meat, mashed potatoes and if you like, though not traditional, a little cheese sprinkled on top. Significantly different in the Cumberland Pie, it has an extra layer of toasted breadcrumbs and cheese which is mixed either with the mashed potato or the breadcrumbs; again it is a case of personal preference, as there is no definitive recipe for the pie. The Cumberland Pie may have become no more than a dressed up Cottage Pie sprinkled with cheese and breadcrumbs, but its history goes so much further. The pie has its roots in medieval times when it would be made with a variety of meats, Herdwick mutton, or perhaps game, dried fruit and sweetened but not sugary by the use of apples in the recipe and spices. This mix of meat, spices, and fruit is not dissimilar to the original Mince Pies once made by a similar filling and not to be confused with the Christmas mince pies we are so familiar with today. In medieval times, the pie was a pastry crust and not potato as we know it now. Why and when it changed to potato is not known. Ask anyone in Britain for a Cumberland Pie and you will get the modern version, except in and around Cumbria and the Lake District in the North West. This region is the home of the pie and thankfully where it still exists. It is eaten and enjoyed by locals, tourists and those walking in this beautiful part of the United Kingdom. Rarely will you find one outside of the North West, which really is a shame. The simplest way to cook the modern Cumberland pie is to take the definitive recipe for either a cottage or a shepherd's pie; decide whether you want the cheese in or on the potato or crumbs and away you go. It is up to you, it really is that simple.